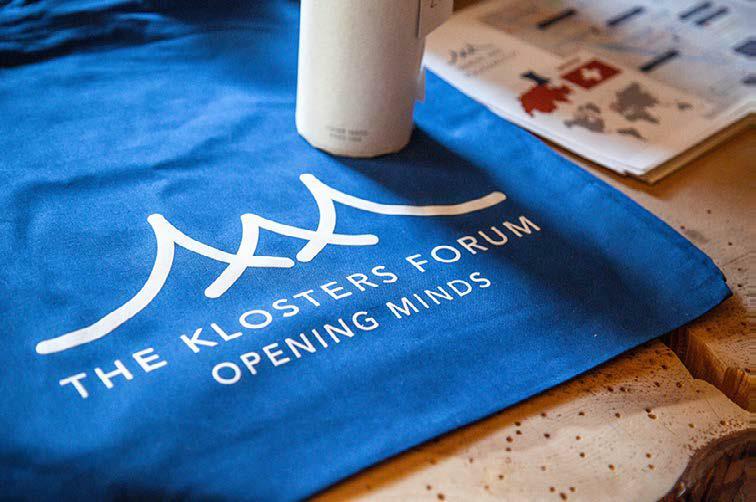 The Klosters Forum is a new initiative that brings people together to discuss and tackle some of the world’s most pressing environmental challenges. The concept is to provide a platform which fosters and encourages participants to raise awareness of issues and discuss solutions. In July 2018, The Klosters Forum brought together 70 inspirational leaders to help tackle one of the most pressing environmental issues of our time, ocean plastic pollution. Committed stakeholders from around the world gathered in the Swiss Alps for two-days to share and deepen their understanding, build new networks, develop solutions and become further inspired to take action. Alongside plenary sessions, panel discussions and networking opportunities, The Klosters Forum partnered with Common Seas to provide specialist support on the topic of plastic pollution. Common Seas is a non-profit business igniting a deep level of system change on plastic pollution. They work to ensure solutions are robust and ocean-friendly, policies are sustainable and grounded in reality and that public attention is a gateway to wider ocean protection. Adding to the incredible knowledge in the room, Common Seas’ circular economy and marine science experts guided four workshops providing opportunities for both individual and collective learning which created tangible outcomes to support action on this issue. To see the document which summarises each workshop, the outputs and next steps then please click Common Seas_TKF_Workshop_Summary. TKF were thrilled with the progress that they made and have now made a multi-year commitment to the topic. Next summer the dates for the Forum will be 26-28 June 2019. To view the report on the 2018 Forum please click TKF_Report_2018-Final. We are pleased to say that we at PT Ski are already committed to going plastic free and fully support TKF’s ambitions to find innovative solutions to address this very pressing problem. To find out more about TKF please visit their website.